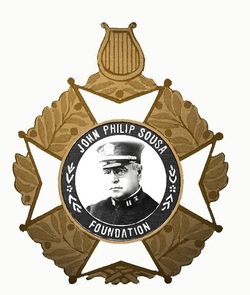 The application process for the 2016 Sousa Honor Bands - New England Region for interested students consists of an online application (please see link below) and the preparation of a playing sample that will be emailed separately to SousaNewEnglandInfo@gmail.com. Applications should be submitted online by January 15, 2016, and acceptances and supporting paperwork/information will be issued by mid-February 2016. The playing sample consists of three very basic exercises designed to demonstrate a level of basic musicianship skills, split over three different levels, from very easy to medium in difficulty (please see links below). The student should record the playing sample as an .mp3, .wav, or any other standard audio or video file. The student should state his or her name, announce the level number of each exercise (1, 2, and 3), and then play each corresponding exercise by level number. Please include the student's last name when naming the audio files. PLEASE CLICK ON THE APPROPRIATE INSTRUMENT NAME BELOW FOR THE .PDF FILE TO BE USED FOR THE STUDENT PLAYING SAMPLE. After completing the student playing sample, please email it to sousanewenglandinfo@gmail.com by January 24, 2014.